April 9, 2019 in category Chamber Blog, News tags barnard house, bed and breakfast, business, core goods, cross pollinarion, divani chocoaltier, mothers day, venango county and 0 comments. If you have ever watched a bee visit flower to flower in your garden, you understand how this species is vital for the garden’s life. This same principal should be applied to the community of business and development. Cross pollination is essential in our region as small businesses struggle to prosper and evolve to the needs of the consumer. Located in the southern tier of Venango County, Emlenton is a community like many others in our region that requires connectivity to other businesses for survival. One business, The Barnard House Bed and Breakfast, is striving to promote the special qualities that make the valley unique. A Mother’s Day Tea themed “Women Celebrating Women” and planned for May 11 has been uniquely created by 11 regional businesses found in Armstrong, Butler, Clarion, Crawford, Sharon and Venango Counties. These 11 businesses are owned or co-owned by women. When businesses share in the development and creation of an event, there is so much more to offer the consumer. 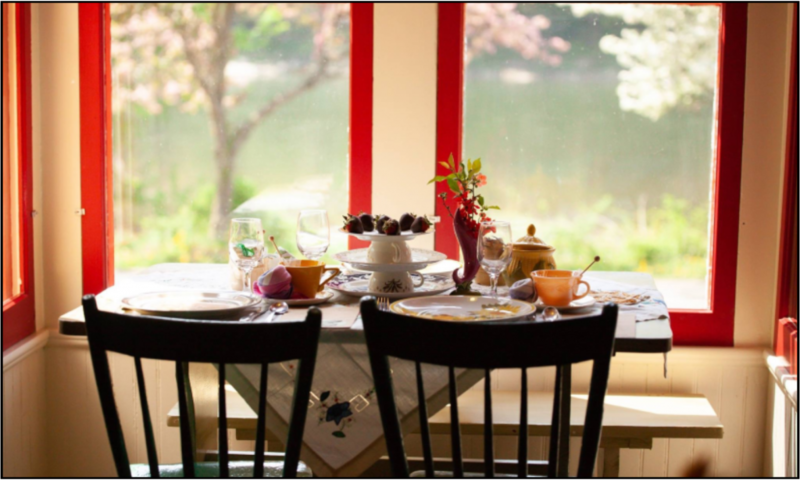 The Mother’s Day Tea is beautifully set in an aesthetic and intimate atmosphere along the river. The event will feature items prepared by Chef Don Ras and 70% of the foods served will be regionally grown and produced. It is their hope that other businesses in our region will continue cross pollination in other venues. To learn more about this style of networking or to make a reservation for this event, please call (724) 867-2261. The 11 business involved in this event include: Core Goods, DiVani Chocolatier, Do The Macarona, Going With The Grain, Grateful Life Farm, Mirakai Farm, Plot Twist Farm, Sandra Jackson Photography, Stella’s Sundries, The Singing Sparrow, and The Barnard House Bed ‘n Breakfast. 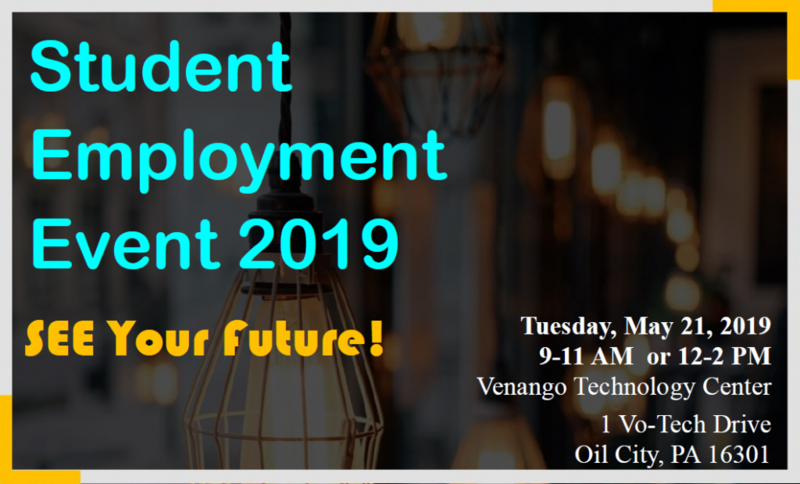 March 26, 2019 in category business, News tags Guidance Counselors, SEE Your Future, Student Employment Event, Venango Technology Center and 0 comments. Would your business hire someone directly out of high school? Do you have or anticipate that you will have open positions? Would you like the opportunity to meet this potential workforce in one day? Be a part of the Student Employment Event happening this spring! Sponsored by the Franklin Area Chamber of Commerce, Oil Region School Counselors Association, School & Industry Partnership Group, and the Venango Area Chamber of Commerce. March 15, 2019 in category News, Uncategorized tags FLEX, FLEX Present, flex young professionals, future leaders and entrepreneurs exchange, venango chamber, venango county, Young Professional of the Year, young professionals and 0 comments. Have you ever heard the comment: “All young people have to leave our area to be successful”? We know this is absolutely untrue, and on Friday, April 5, we will recognize 12 professionals under the age of 40 who are making a difference in Venango County. These nominees’ professions range from business owners and accountants, to psychologists and engineers, and all contribute to our community in significant ways. All professionals are invited to attend the event, not just young professionals, and it will take place at the Barrow-Civic Theatre in Franklin, from 6:30 to 8:30 p.m. Community members can register by visiting venangochamber.org/flex-presents and FLEX is also welcoming sponsorships. The evening of FLEX Presents is full of networking, delicious food and drink, and a presentation about these young professionals and FLEX. Find more information about FLEX Presents and past nominees here and RSVP here. 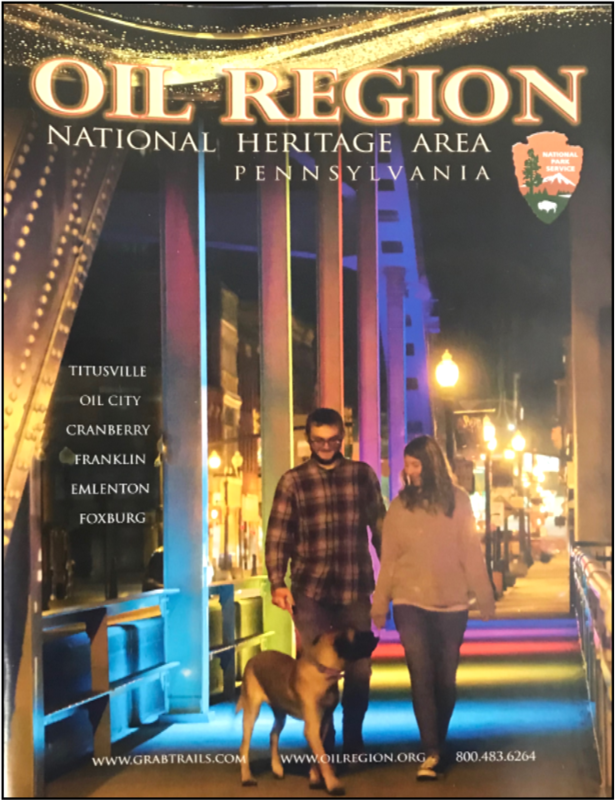 March 12, 2019 in category News tags bridge builders, bridge builders community foundations, donations, non-profit, venango chamber, venango county, venango gives, week of giving and 0 comments. Bridge Builders Community Foundations (BBCF) will host the Week of Giving this month—a campaign to spur collective charitable giving and garner excitement that will allow donors to give to numerous nonprofits throughout our region. Last year, more than $240,000 was raised through the Week of Giving, with 128 nonprofits participating. Approximately 150 nonprofits have signed up this year, and the foundation hopes to raise even more towards organizations making a difference in our community. Beginning on March 18 at 9 a.m., community members can visit bbcfgives.org and make donations to both small and large organizations, ranging from children & youth and libraries, to environmental and arts & culture. Donations by check must be in BBCF’s possession by 4 p.m. on Thursday, and online donations end at 5 p.m. on Friday. To learn more, visit bbcfgives.org and find BBCF on Facebook at facebook.com/B.B.CommunityFoundations.